I have discovered this wholesome, charitable, new way of snacking. About two weeks ago, I was casually listening to the Today's Country Music on Pandora radio, and an advertisement popped up. 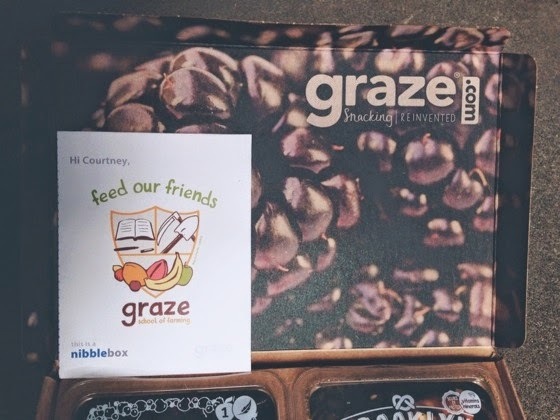 It was an advertisement for Graze, and all Pandora listeners would receive a free box if they clicked the banner and signed up. I thought why not? It's free! 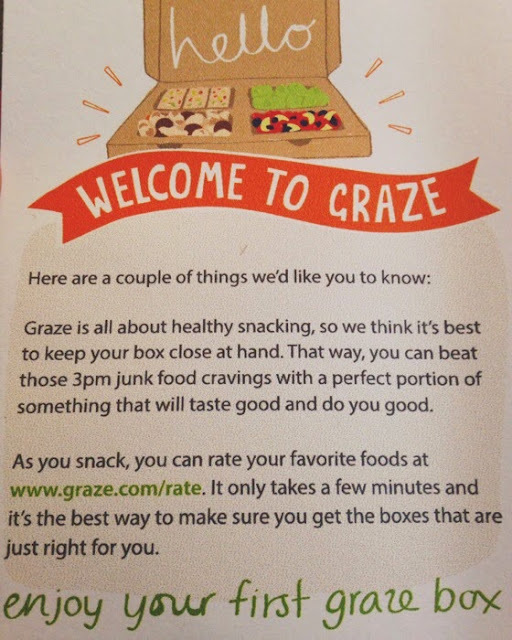 So I signed up, and researched Graze and learned that they were in Men's Health magazine and in Bazaar magazine. 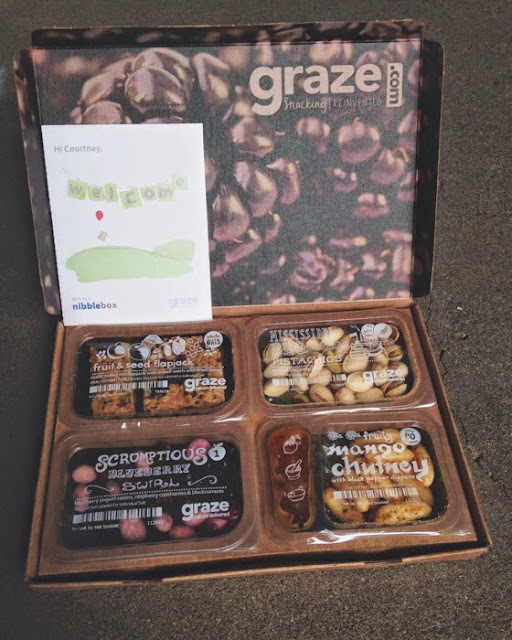 I researched more about Graze and learned that all the packaging was made out of recycled materials, and when you purchase a box, you are donating money to the Graze School of Farming in Uganda. A man by the name of Mr. Augustine runs the school there, and his goal is to help the people learn how to plant, farm, and harvest food. He also cares about nutrition, and creating sustainable incomes for the families there in Uganda. I am always up for a product when it is for charity! 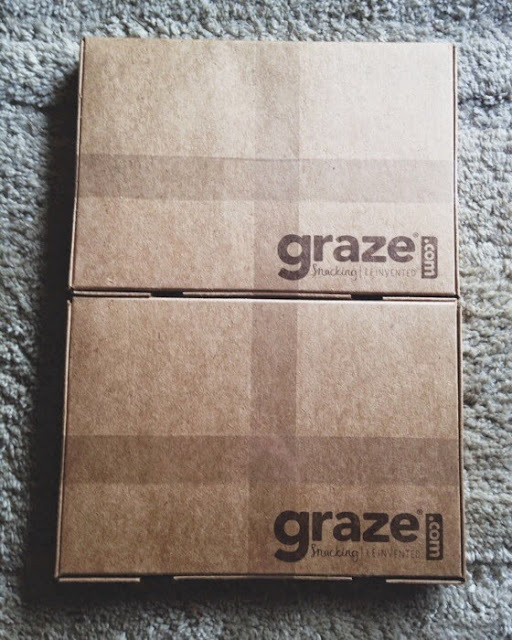 When you receive your Graze box, you also receive codes in these pamphlets, those codes are for you to hand out to your friends. When you refer a friend, and they order a box, you get a box for free! Even when they aren't free, the boxes are only $6 each. You can't go wrong with a $6 snack box! 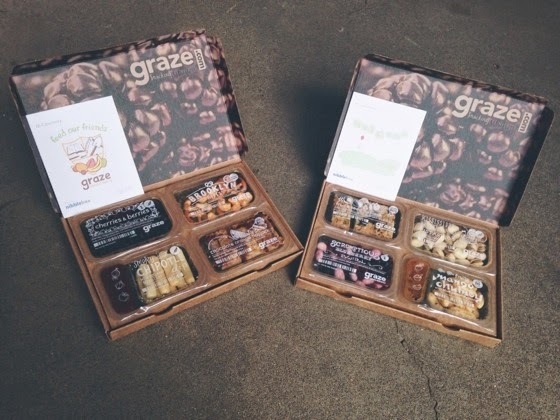 When you sign up with Graze, you go to their snacks area, and you rate the snacks. 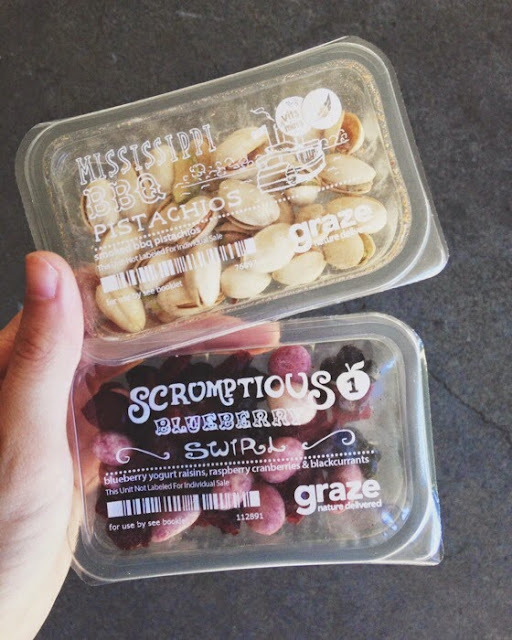 If you love it, the staff at Graze will try and put that snack in your box consistently. 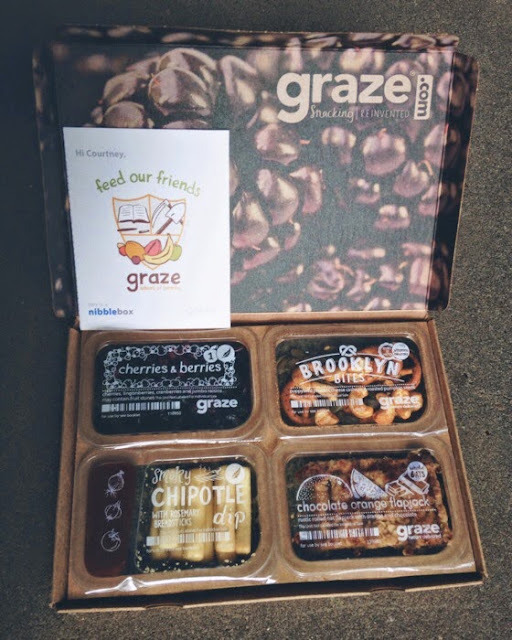 If you like a product, the staff at Graze will try and put it in every once in a while, same concept with "try" on the rate scale. If you choose that you hate the snack, they will never put that snack in your box. I love this system! It gives you a chance to try everything if you wish. 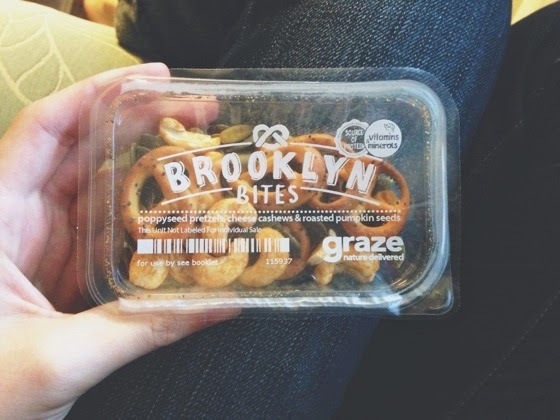 My favorite snacks so far are the Brooklyn Bites, the Scrumptious Blueberry Swirl, and Mississippi BBQ Pistachios. The Scrumptious Blueberry Swirl is perfect for when you want something sweet to eat, but you don't have to feel guilty about it after! 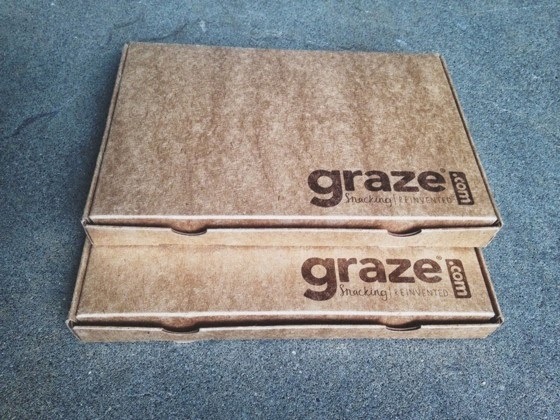 So, earn rewards with Graze, and donate to the Graze School of Farming. Enjoy in wholesome snacking, and order a box today!